Soothes and cools muscles, tendons and ligaments after hard work. Keratex Cooling Gel is the perfect way to cool your horse's muscles, tendons and ligaments after exercise. It is also an effective way of preventing heat and inflammation in horses on stall rest, or during periods of travel. Warm legs are more flexible on the inside which can lead to pulled tendons and damaged ligaments. 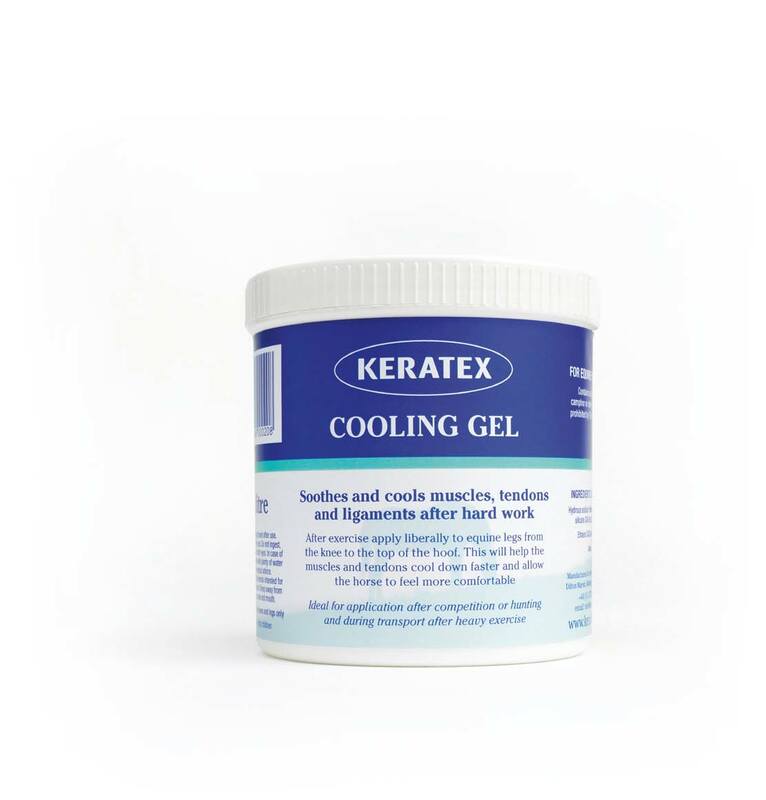 Keratex Cooling Gel is a great way of keeping your horse's legs cool during or after exercise, stabling or travel. Keratex's unique Cooling Gel actually cools by evaporation, making it more effective than other cooling gels available in the market. Available in 1 litre tubs. User Notes - After exercise apply liberally to equine legs from the knee to the top of the hoof. This will help the muscles and tendons cool down faster and allow the horse to feel more comfortable.